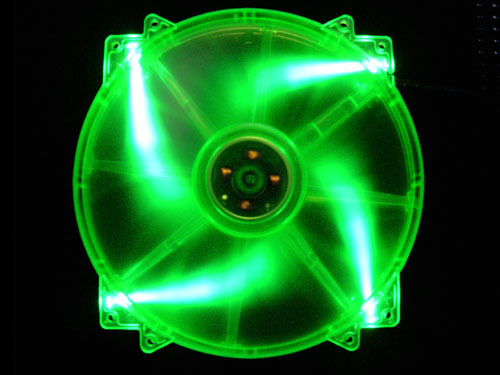 Improve cooling and airflow to your case/system with this Apevia 200mm green UV reactive LED fan. The LEDs illuminate the entire fan and create a very amazing effect. With an ultra violet light (black light), it shines like a jewel in the dark. It offers incredible cooling to increase the longevity and stability of the system and components. Meanwhile, adds glamour and character to your PC. Available in 3 different colors - Blue, Green and Red.